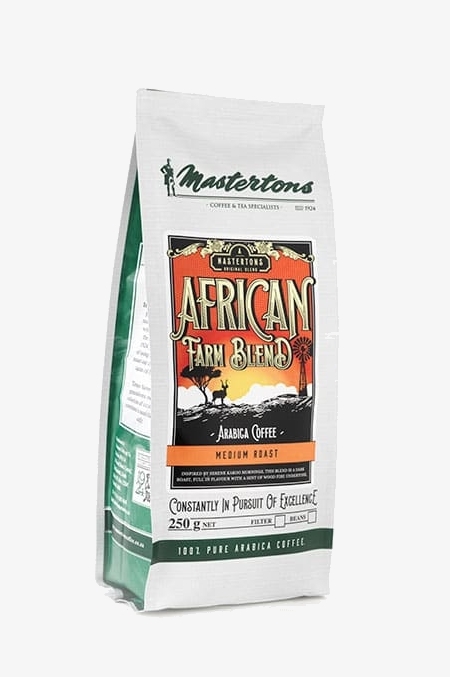 African Farm Blend is reminiscent of the 1950’s coffee served on farms in the Karoo. Contains some dark roast beans which emanate an aromatic hint of a wood fire. Slightly stronger for early risers!